In order for your business to send bulk or mass text messages to your contacts legally, you need 3 things – click to find out what they are! 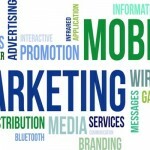 SMS Marketing Canada: What You NEED to Know! Any SMS or text message marketing program launched in Canada cannot be implemented without first taking a close look at Canada’s Anti-Spam Legislation. We can help sort out the issues. What do CASL Compliant SMS / Text Messages Look Like? Wondered what a CASL compliant SMS / text message is supposed to look like? We’ll show you exactly what you should be displaying to your customers, click here! 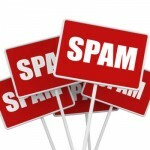 Canada’s Anti-Spam Legislation went into effect July 1, 2014 and it has profound effects on the way you can connect with your contacts – regardless of the size of your business. Read more, click here! Are Your Text Notifications CASL Compliant? Canada’s Anti Spam Legislation came into effect July 1, 2014, and directly affects how your business connects with its customers in the digital realm. Is your text message mobile marketing program CASL compliant? Our SMS Anti-Spam Commitment Loses Us Customers! 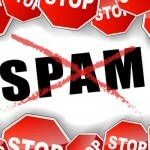 Spam violations are serious, potentially very costly, and brand-damaging. As such, we’ve built rigorous safe-guards into our service to prevent you inadvertantly violating these laws and potentially exposing yourself to regulatory fines or class action suits.